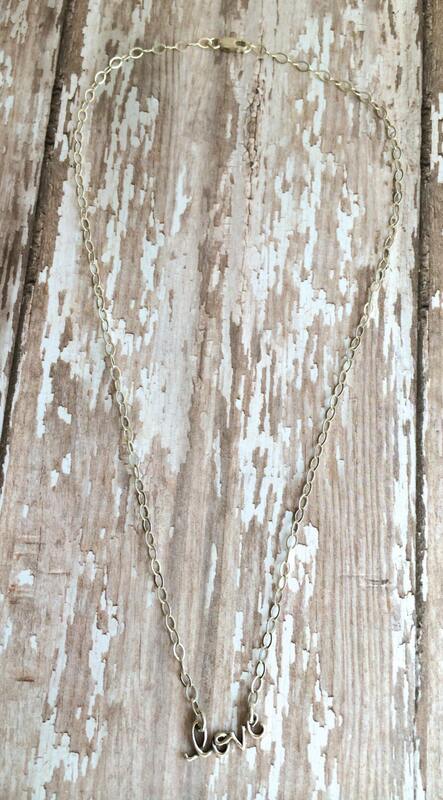 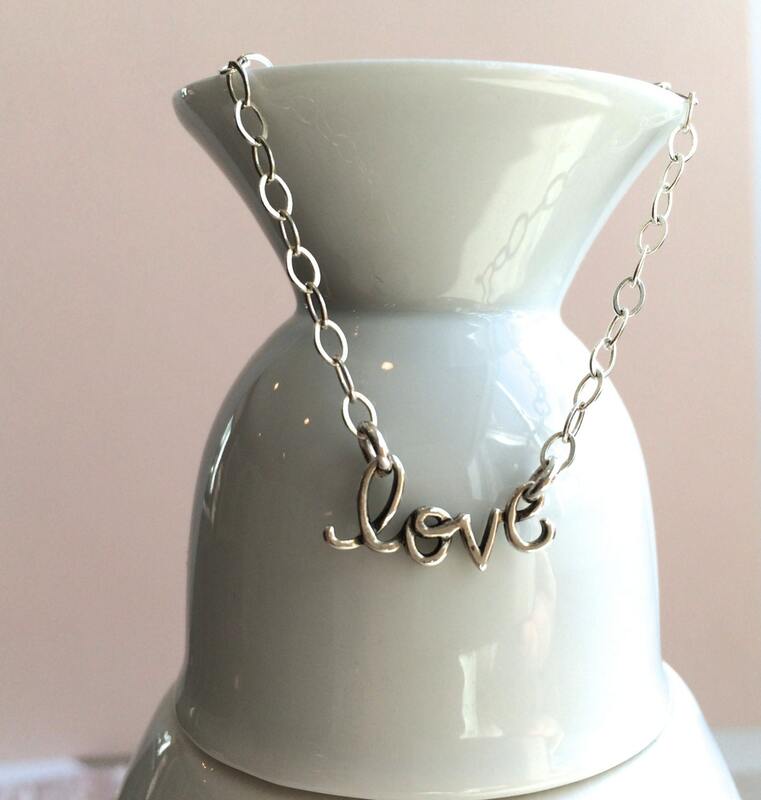 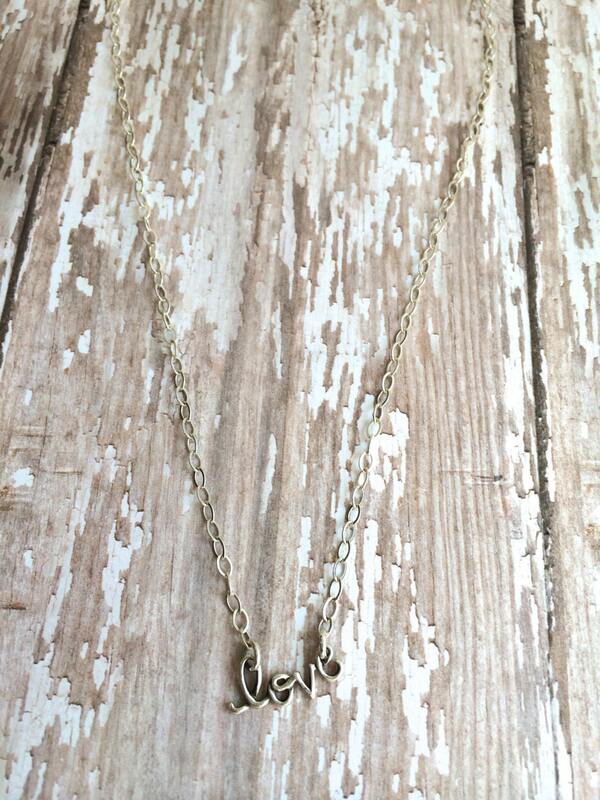 "Love" is delicately scripted in this 16" silver necklace. 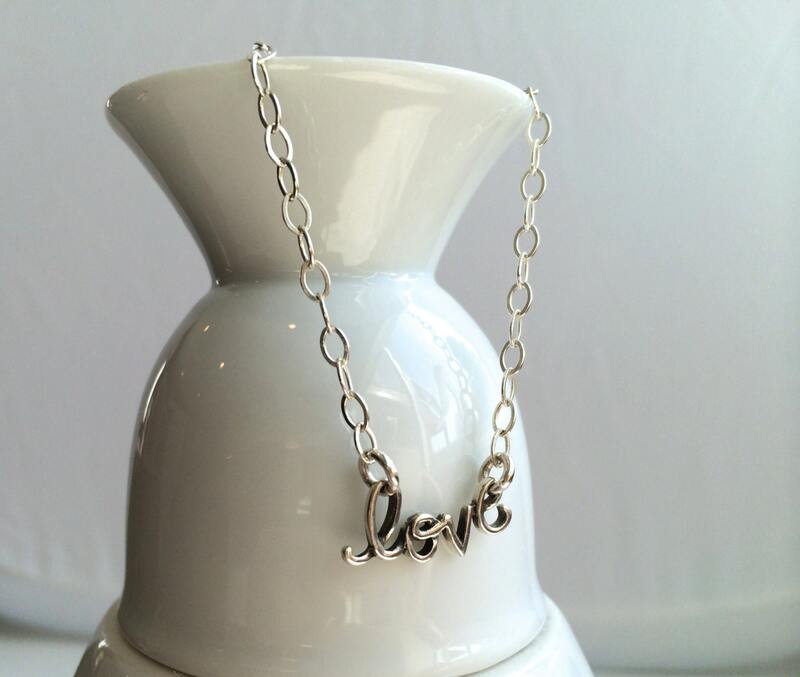 The perfect gift to show how much you love her! 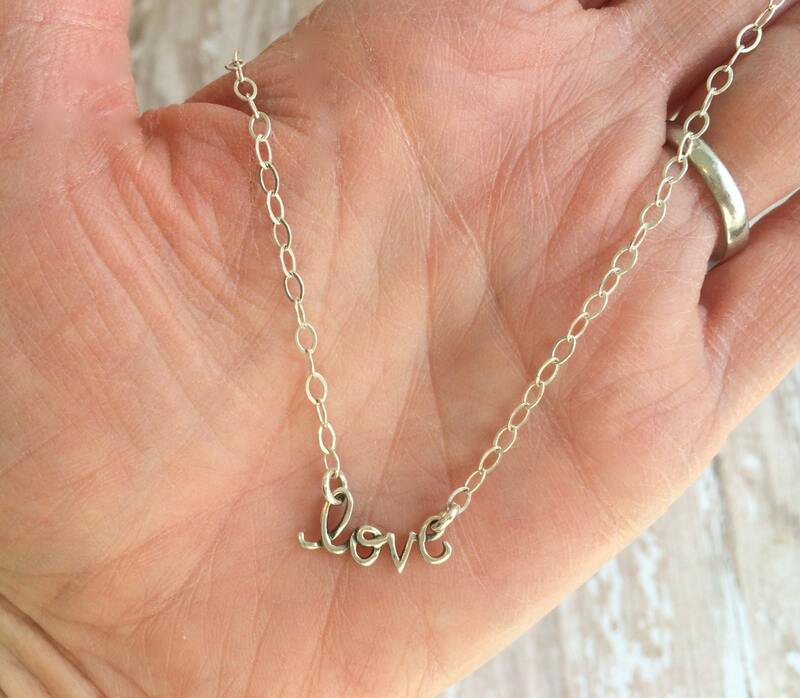 * Love script is approximately 1"